I originally saw the film during it's cinematic release and thoroughly enjoyed the film (this despite working out what the final shot of the film was going to be, as early in the film as Michael Caine's first scene). The film is essentially a thinking man's science fiction philosophical take on the "heist" movie genre. Leonardo DiCaprio plays Dom Cob - the lead confidence man with a tortured past, heading up a hastily put together band of specialists who attempt to pull off the perfect crime... and it's all in the mind; quite literally. 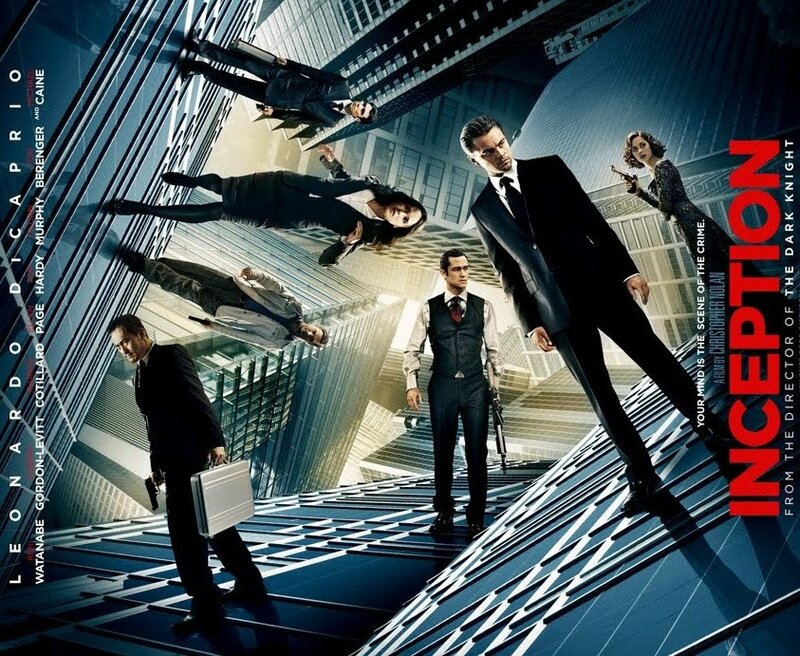 Instead of trying to break into a vault and steal gold or some shady government secret, Cobb and his posse are actually trying to plant an idea (inception, hence the title of the film), in the mind of the young heir to a business empire... an idea that when fully realised, will lead to the break up of said business empire. They do this by using technology to induce several levels of shared dream state which they can use psychology, trickery and subversion to infiltrate a mark's secrets and manipulate them into achieving the desired outcome. The mission is threatened throughout the film by the demons from Cobb's past which erupt from his subconscious into the different dreams... leading to undesirable outcomes. Chief amongst these demons is Mal (Marion Cotillard), a shade of Cobb's deceased wife who embodies his subconscious desire to live out his memories and artificially reconstruct the life he left behind when the real Mal died (her death being the result of his attempt to use Inception to convince her to leave the dream state of limbo). The time spent in different dream states increases exponentially with each level of dream experienced. It is stated that in the deepest level of dream state - limbo, that the length of time is so great that you can lose track of reality and become lost there and this is a theme I want to explore in a little more detail. In the film, each dreamer uses a "totem", a crafted item that acts in a unique way in the real world... a way that is significantly different to how it acts in the dream world; the idea being that it acts as a defence and helps keep it's user lucid. 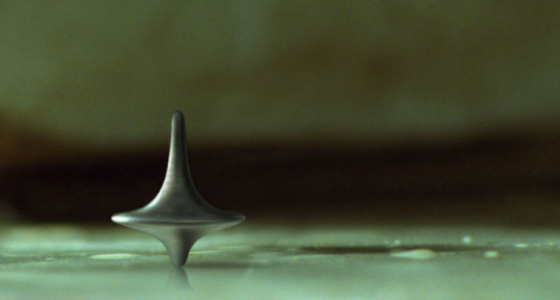 Cobb's totem is a spinning top that only falls over in reality... in the dream world, it continues to spin... endlessly. In the final shot of the film Cobb thinks he has reclaimed his life and goes to be reunited with his children... as he does so, we are left with the image of the top still spinning... and a swift cut to black as it just begins to wobble. The meaning is clear - we are left to draw our own conclusions as to whether or not Cobb has returned to reality at all... or whether in fact the "real world" of the film was just another dream in itself. I personally take the pessimistic view because of certain things that happened earlier in the film. Characters and events seem to constantly urge Cobb to "come home", most notably Michael Caine's father-in-law figure. This got me thinking about our reality... how the inherited brokenness we share as individuals - is effectively a false reality which I as a Christian choose to identify as the sinful nature. It is a world, a mindset, that separates us from the God who loves us. The dream world can seem very real and in most cases (depending on which survey you read), we are not aware it is a dream until we awake to reality. Similarly a reality where we find our spiritual selves at the centre (even if it's on a subconscious level), is in fact an illusion... a nightmarish limbo that is a distorted and twisted representation of the truth. We cannot escape it in our own strength... because so great is its allure and subtle is its deception that we cannot perceive why or how we should leave. God is like Michael Caine's character.... imploring us to stop kidding ourselves playing in the sandbox of our dystopian fantasy and return home to him. “You will be ever hearing but never understanding; you will be ever seeing but never perceiving.” For this people’s heart has become calloused; they hardly hear with their ears, and they have closed their eyes. Otherwise they might see with their eyes, hear with their ears, understand with their hearts and turn, and I would heal them. Those are God's words spoken through the prophet Isaiah and echoed through Paul. You might think that sounds harsh.... but I do not believe God is speaking in anger here.... but in deep sorrow and grief for their circumstance. But even if we listen to God.... how can we be certain we are living in his reality? How can we know we are not just kidding ourselves on another level? The answer is that not unlike the characters in Inception... we have a totem. A unique totem. Our totem is not a personalised crafted image, it it none other than the living Jesus - his ministry, his life on Earth ran at odds with the man-centred way of managing our lives, the "rules of the game". Jesus was totally sold out for his Father...nothing mattered more to him and he showed us the way to live properly. If our lives are not in step with his loving commandments, then when placed alongside him, the physical laws of our personal world are shown up as warped. So the offer is on the table... and once again we draw nearer, ever nearer... to Christmas - that time of year when we celebrate the birth of the child who was and is called the Light of the World. When the light comes... is it not time to wake from our slumber and embrace the new day?